After my first ever morning run [thanks to Asad's encouragement], we decided to take our bank holiday sunday easy and head over to West London in the late afternoon to bask in this year's Carnivaaal. I love Carnival - this is part III on the blogster [part I & part II, if you're interested] - and every time I go I have a completely different experience. This year, we just wanted it to be chilled. Going with a big group of friends is so much fun but it can also be stressful keeping track of each other. So Asad and I decided to just duo it and see where the afternoon took us. 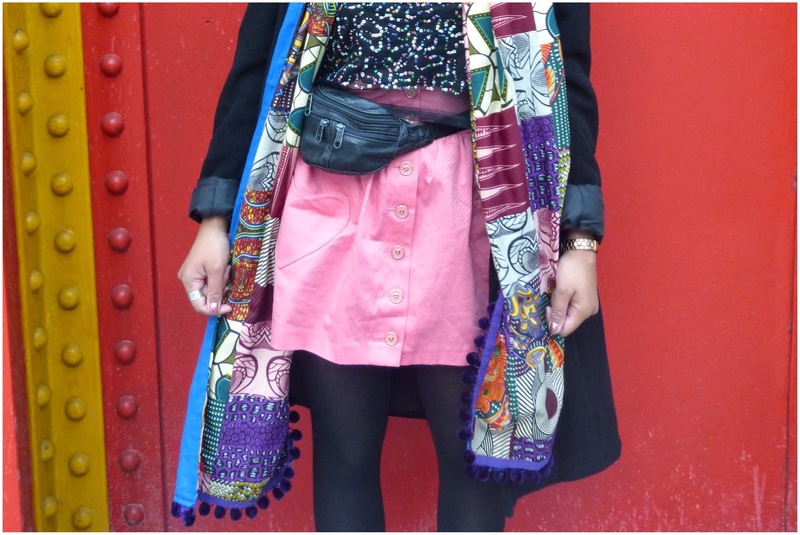 skirt [Topshop], top [H&M], scarf [WOMAD festival], coat [Jane Norman] & yes that is my favourite bumbag! If you're not ready to get up close and personal, don't attempt Carnival. 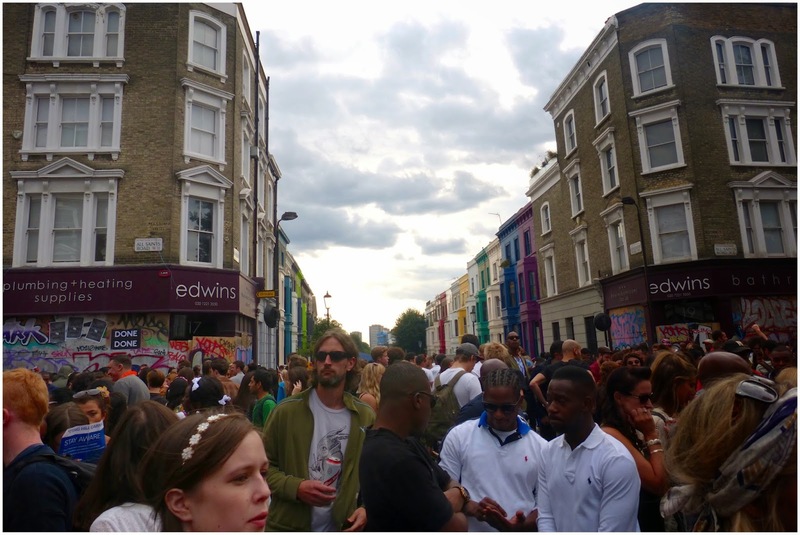 Notting Hill Carnival attracts more and more people every year, this year it's predicted that one million will be descending onto West London to celebrate, dance, eat and party. This means the best sound systems and best food stalls will be a cosy and extremely buzzy affair. 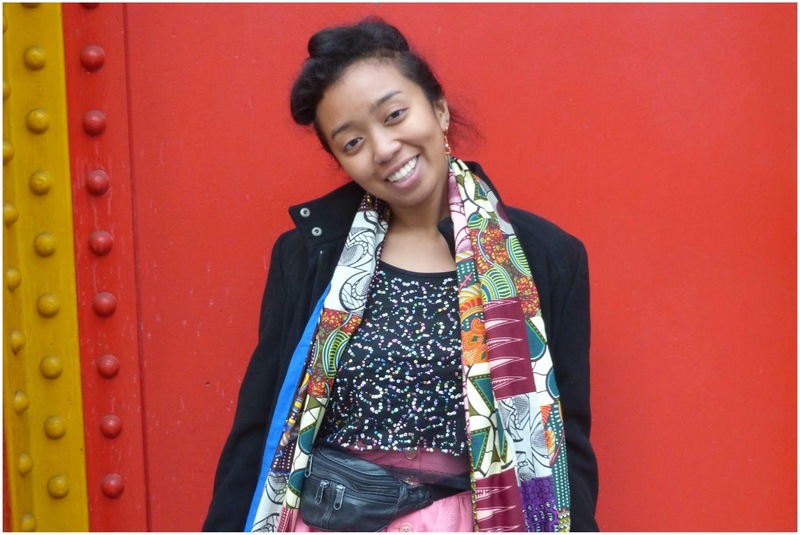 Carnival is a great place to have a good time and feel part of the diverse London community - it's the people, the sounds and the smells of delicious Caribbean cuisine which make the vibe so special. Every year, [aside from WOMAD festival] Carnival means I get my annual fix of delicious homemade jerk chicken. A big surprise to myself, my nose decided to lead me elsewhere this year. As soon as I smelt curried goat and saw fellow Carnivalers really enjoying their just-purchased plates, I was sold. 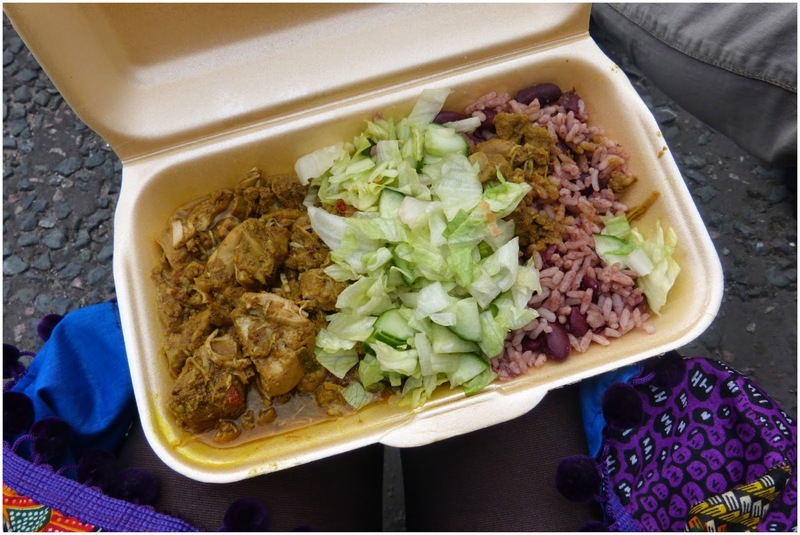 I asked the lovely servers what they recommended and ended up with the tastiest curried chicken with sides [rice n peas and salad]. The chicken was super moist, packed full of flavour and spice, and made for a great little early dinner. I need to learn how to make this! 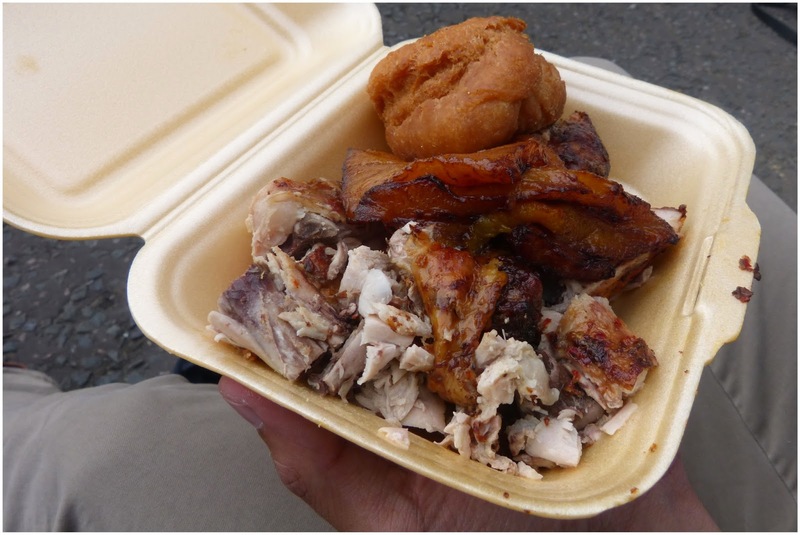 Asad went for the classic [and more modest sized] jerk chicken, plantain and dumpling from Poppa Shaw's stall. 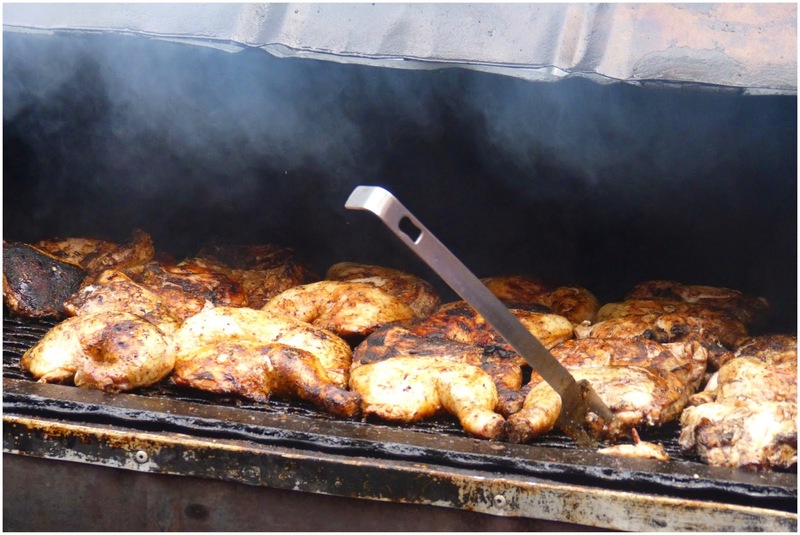 Jerk chicken is bbq'ed everywhere at Carnival and it smells so good it would be rude not to have a little bit. 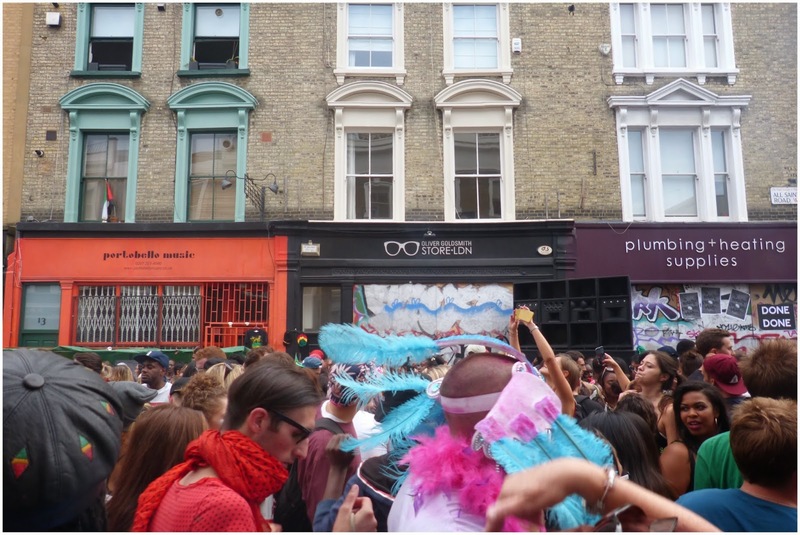 Aside from the vibe and the food [the most important, obviously] there are lots of other fun parts of Carnival to look out for. 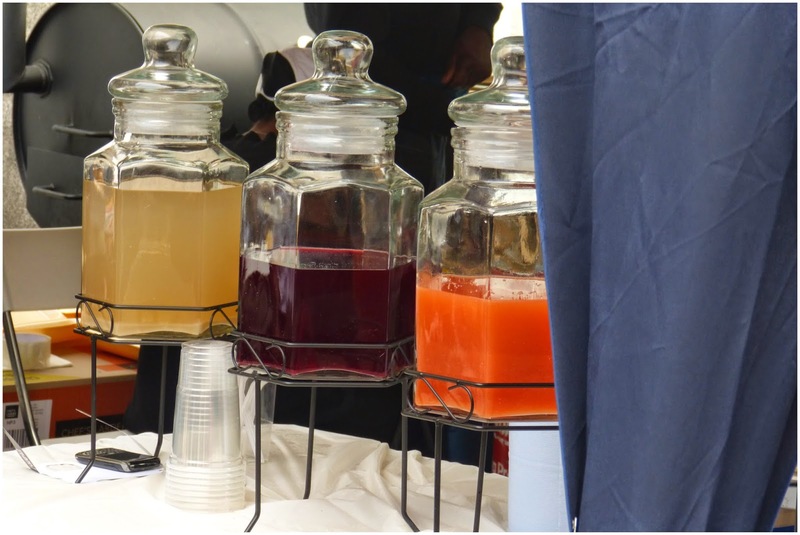 The various types of homemade punches being made is impressive - these were a really cute trio but there were so many to choose from. The dancing is great, particularly if you follow the floats as everyone is just having a good time and clearly enjoying themselves. The costumes are incredible - this year we didn't really get to see much of the parade but wherever you go you will no doubt see some of the most vibrant and fun Carnival costumes. I am always super impressed by the detail and creativity - there is a lot of hard work behind the parades to admire. 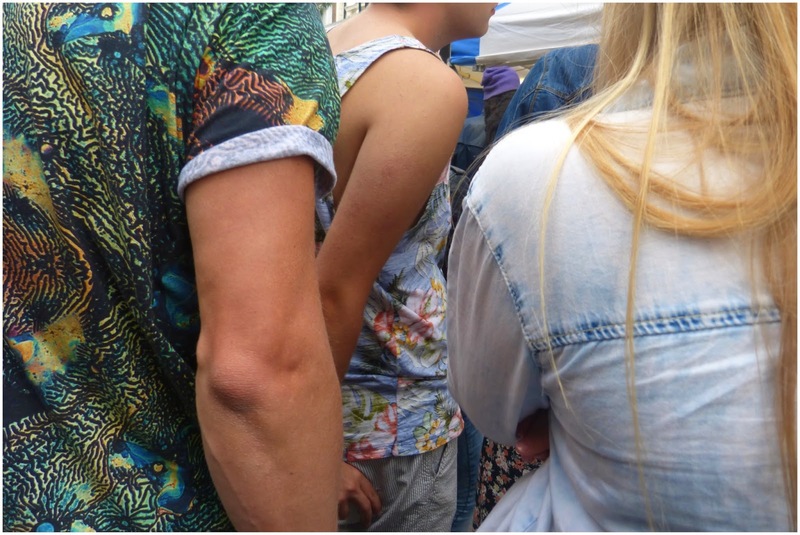 A pretty chilled afternoon at Carnival this year. 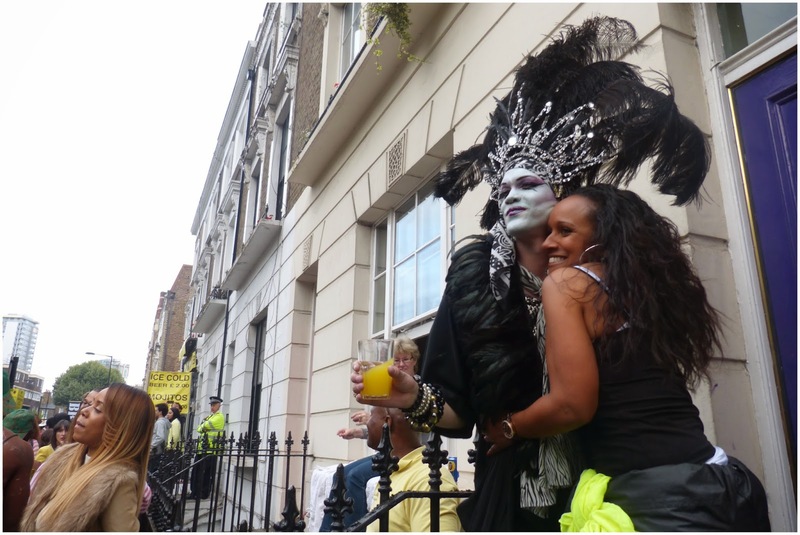 I really enjoyed it - it's always a fun way to see in the "end of summer" as one big, colourful London community. The food is great, the grooves are pumping and everyone is just happy. 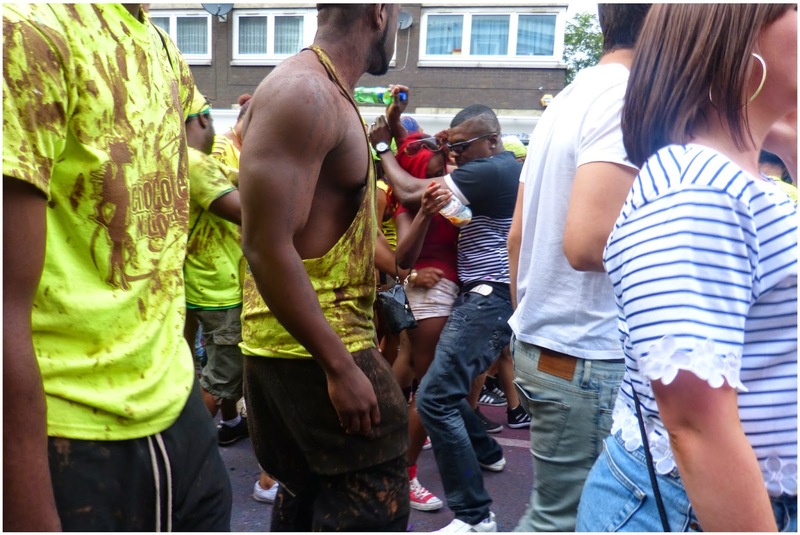 Did you go to Carnival this year? What was your favourite part? 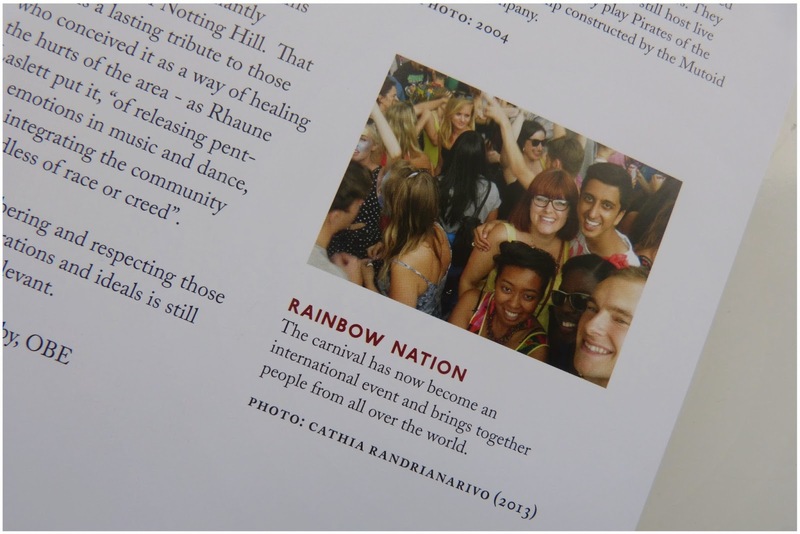 Oh, and to top it off - my Rainbow Nation buddies and I are now part of a beautiful book about the history of Notting Hill Carnival released just this month. Written by Ishmahil Blagrove Jr & Margaret Busby, Carnival: A Photographic and Testimonial History of the Notting Hill Carnival has some incredible photographs and stories right from its origins in the 1950s / 60s to present day. Read more about it here. Still speechless and incredibly honoured to be a [small] part of such a great project.